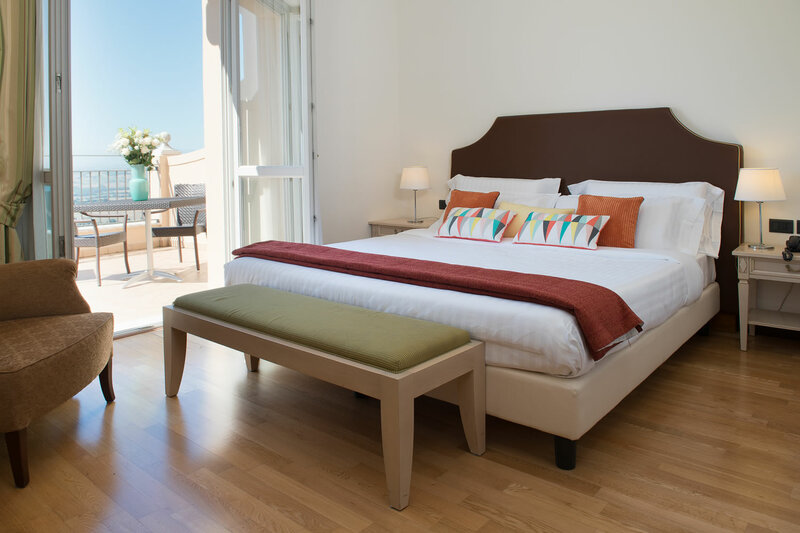 The 68 rooms, including 15 suites and junior suites, have been designed to offer all our guests maximum comfort. You can choose between a classic decor or a more modern and essential design: in every case all in the name of the famous Italian joinery tradition. 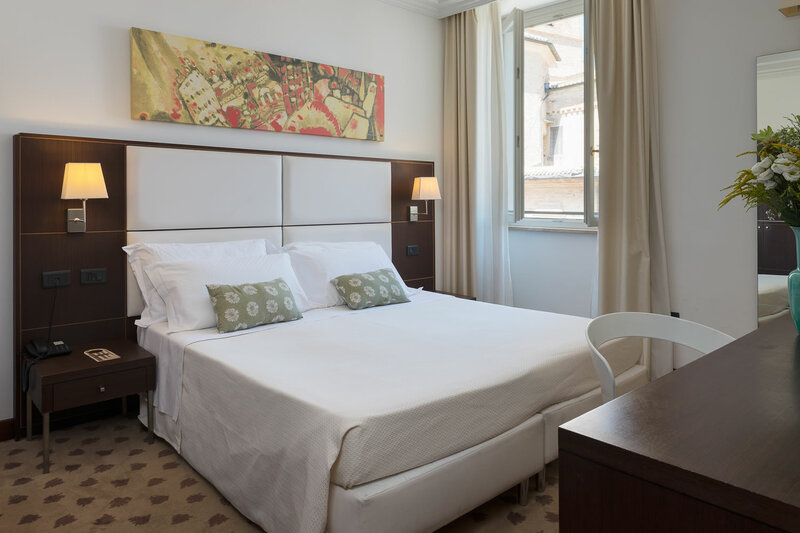 Furthermore the hotel is equipped with unique high-tech systems, ensuring energy saving and environmental protection. 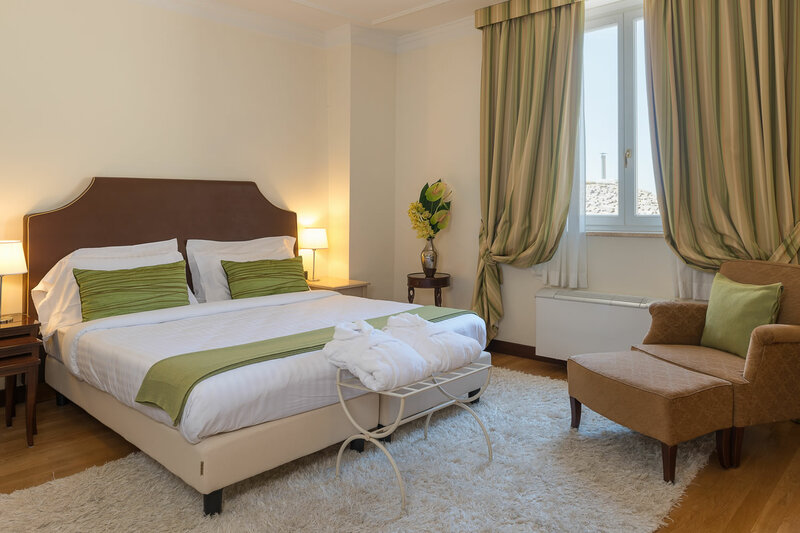 All rooms are equipped with every modern comfort with AC, free wi-fi, flat screen television with international channels, safe suitable for laptops. Italian style meets hospitalityHandicraft woodwork furnishings, made by three finishes of different woods: cherry, walnut and oak, give you the intimate feeling of being at "home". Unsere Suiten, maximaler Confort!The suite is the biggest room at our hotel, with a comfortable sitting area will be your home away from home. 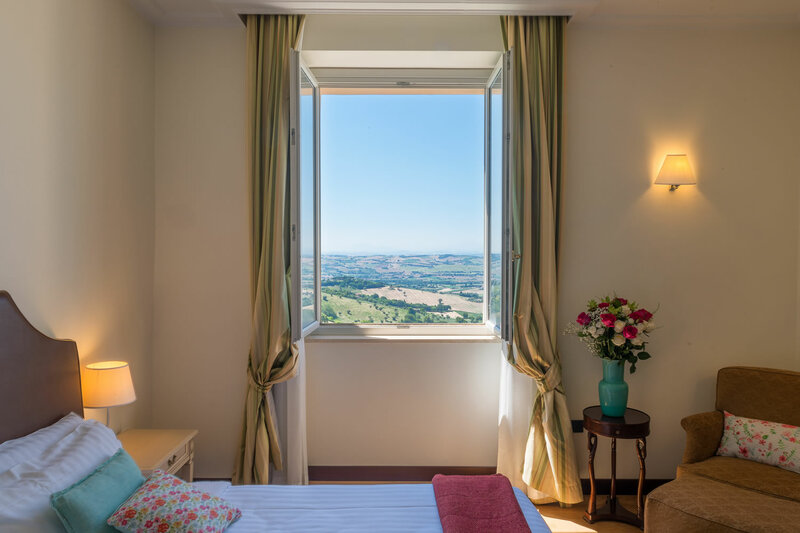 The room for every stayThe Double Superior has a view inside the historic center of Recanati. You will feel like the count Leopardi. 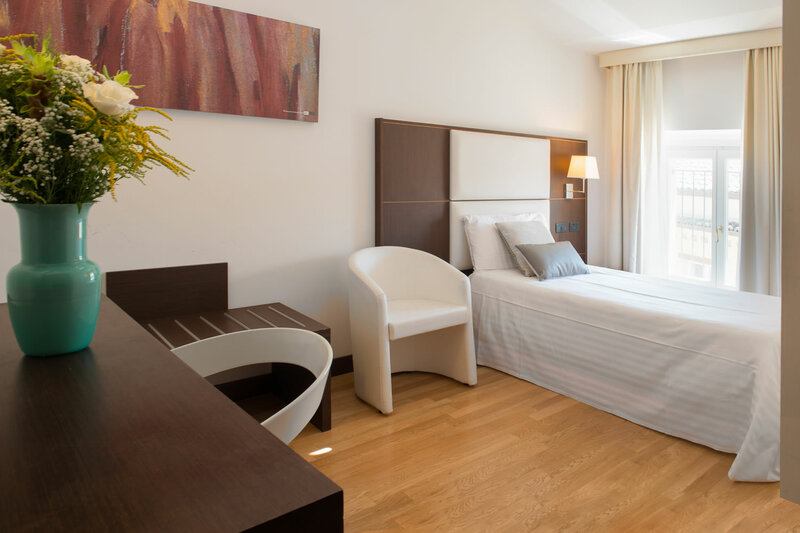 The perfect room for a family holidayThe family room is ideal for any stay without missing any comfort. Staying in relaxThe single room is perfect for a business trip: enjoy all the space you need.